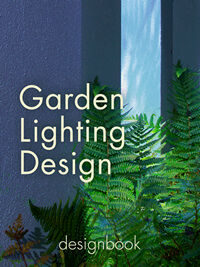 Our 2D and 3D video designs provide a visual feel for what your garden will look like. We specialise in indigenous plants and believe in the use of organic fertilisers and products. We meet with you to discuss the vision you have for your garden, then plan each project to ensure accuracy and attention to detail. Our trained and dedicated teams, under the supervision of Glenice or Ryan, take over your garden to transform it into the vision you have. A great garden continually improves. We provide seasonal maintenance services to help ensure your garden continues to flourish. 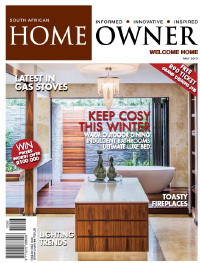 We are an award-winning Johannesburg-based landscaping and garden design company, specialising in indigenous gardens. 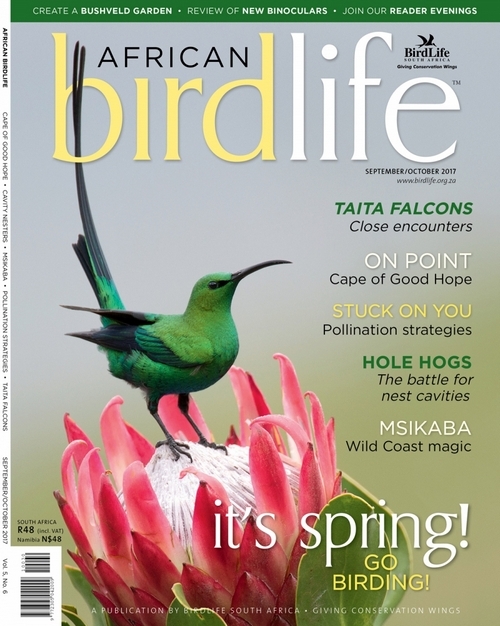 We implement modern design concepts using indigenous plant material which will serve to attract wildlife to your garden, help sustain the vast variety of South Africa’s flora, and provide a sensory appealing garden for you to enjoy. 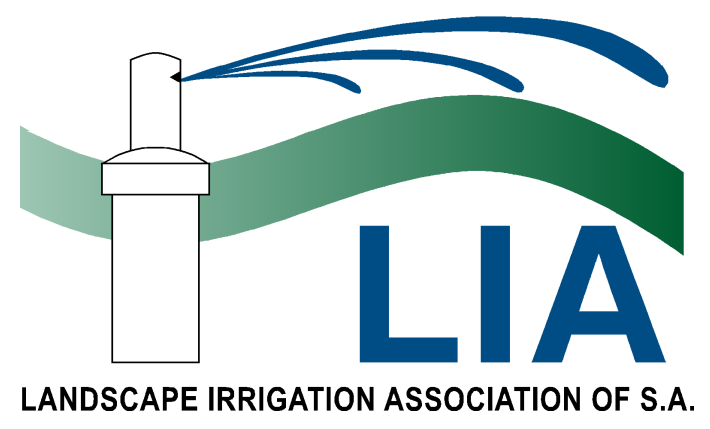 Our service offering includes 2D & 3D designs, full landscaping installations, garden makeovers, irrigation and rainwater harvesting installed to LIA standards, and seasonal maintenance. 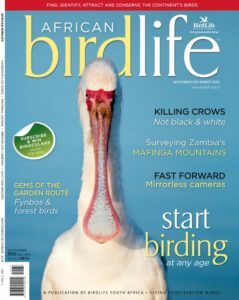 Our gardens feature in magazines and online media and we are contributors to African Birdlife and Property24.com. 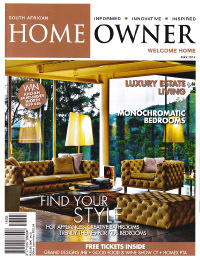 Our corporate clients include Claassen Auret, Edcon, DHL, Clover SA and Starbucks. Click here to view our latest portfolios, our testimonials, or follow the links below to read more about our services. We have done extensive renovating and building in the past and I can honestly say that Grounded Landscaping provided us with by far the most professional and knowledgeable service yet. It’s easily apparent that Ryan and Glenice are passionate about what they do and this translates into a beautiful and considered final product. We love our garden renovation and the fire pit. The team working with Ryan was courteous, polite and hardworking. Ryan was on site all the time (unheard of with most jobs) and was always obliging and happy to help and give advice. This is a wonderful group of people who we couldn’t recommend more highly. Glenice, Ryan and the team from Grounded Landscaping have been an absolute pleasure to work with from start to finish. Bearing in mind we are in the middle of a game reserve and so far away from Johannesburg, the planning and execution has been exemplary. In the seven days they were with us Glenice and Ryan were completely hands on, always available and totally involved with this large project. Everyone on the team was completely professional and friendly and it was a wonderful way for our staff and ourselves to learn so much with this hands on approach. Nothing was too much trouble and it was a project that had a “feel good“ effect. Our guests have been delighted with the result and we are doubly thrilled that due to this project we are saving 22 500 litres of water a week. Sincere thanks. 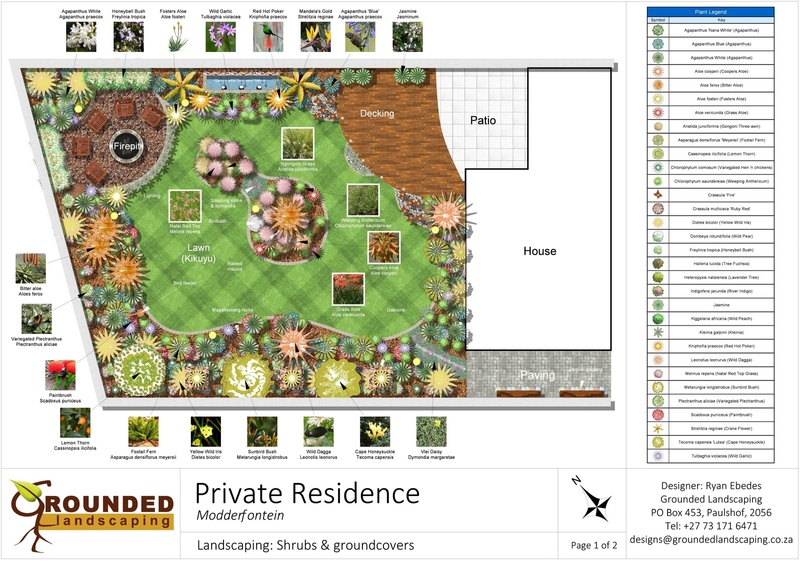 Grounded Landscaping uses professional 2D & 3D software to help you gain a complete picture of what your garden will look like. 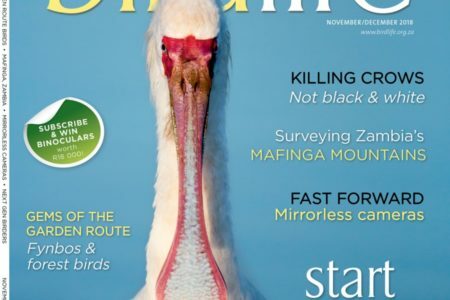 We work to ensure your design is not only beautiful and practical, but worthy of a place in print magazines. Visit our Portfolio section to view our latest 2D & 3D designs. We specialise in indigenous, low-maintenance gardens that will attract wildlife to your garden and enhance the biodiversity of your area. Our gardens are planned to ensure correct structure, plant selection and placement, and we love returning to our clients gardens after a season or two to see how they’ve progressed. 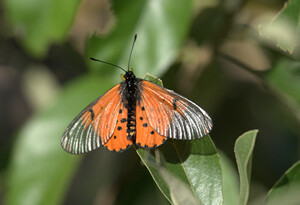 Your garden is your personal outdoor space, so let us make it aesthetically pleasing and practical, not only for you, but for the local fauna as well. 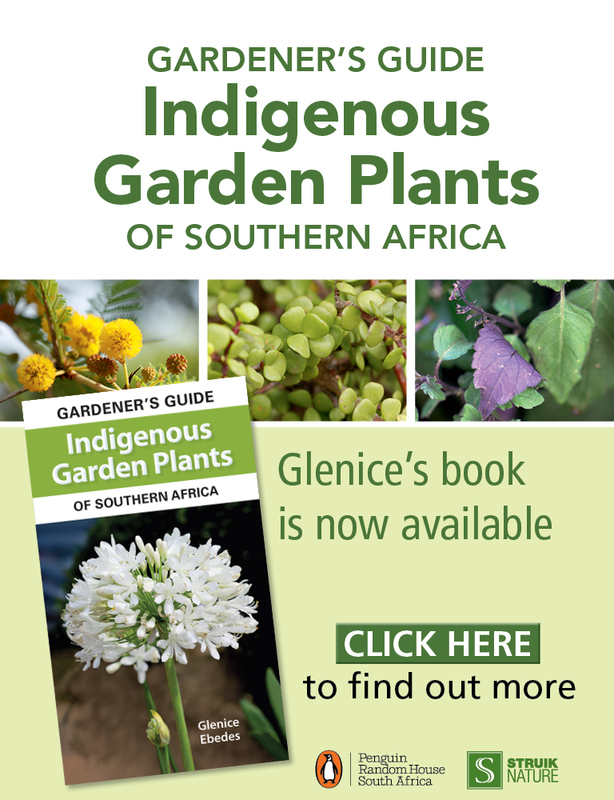 Visit our plantbook to see a selection of the beautiful indigenous species we can use in your garden. 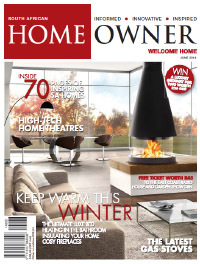 Our award-winning firepits and seating areas have featured in magazines and online publications. No matter how big or small your garden space we can transform it into an outdoor area you can be proud of. Entertaining, braaing and relaxation need not be done indoors or under a patio. Let us transform a section of your garden into a welcoming space for you, your family and friends. 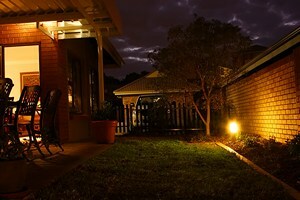 Garden lighting makes all the difference when it comes to enjoying your garden in the evenings. We have extensive experience in the placement and installation of garden lights, and use the latest technologies to save you electricity costs. Depending on your requirements we can install day-night sensors, LED fittings, and remote control systems. 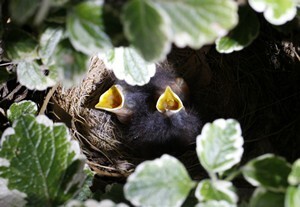 The sound of water adds a new sensory element to your garden, whilst providing a drinking spot for birds and other wildlife. We design and install custom-built water features or pre-cast water features to suit your garden space. We pride ourselves on building food and vegetable gardens that suit your lifestyle and fit within the theme of your home. 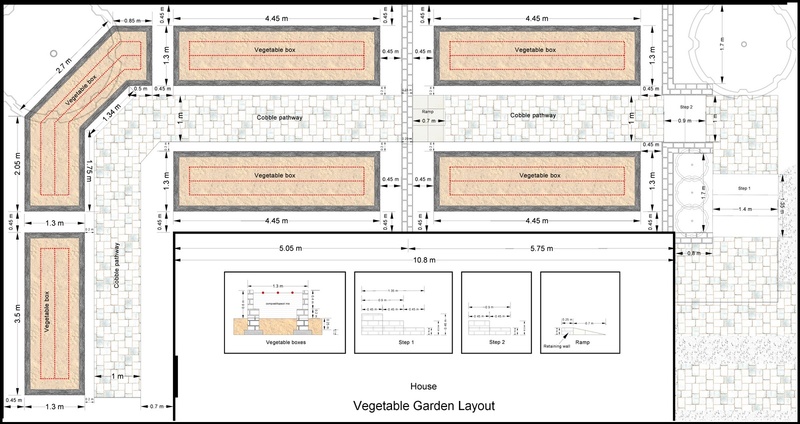 We’ll incorporate your food garden into a new design, or build a new one for you in an existing space in your garden. We custom-build play areas for our client’s gardens, and build school playgrounds and parks as CSI projects. Encourage your kids to play outdoors and enjoy your garden by incorporating a landscaped play area into it. We also use the latest artificial grass technology – materials designed specifically for childrens play areas. Seasonal maintenance is a service we provide to existing clients to prepare their gardens for autumn or spring. It typically involves the addition of compost, organic fertilisers and mulch, pruning of plants that may require it, weeding of lawns and beds, and maintenance of the irrigation or rainwater system. If our clients have hard-landscaping elements these can be enhanced through cleaning and sealing. Most clients find that they can maintain their gardens on a weekly basis, but require seasonal maintenance for more intense gardening tasks. Our service helps ensure that our client’s gardens continue to flourish long after the original installation. Before setting out on your garden project we first meet with you at home or on site to ascertain your needs and the vision you have for your garden. We then take measurements of your existing garden or site, photograph the area, and go through your estate’s landscaping guidelines to ensure our design conforms to the requirements. 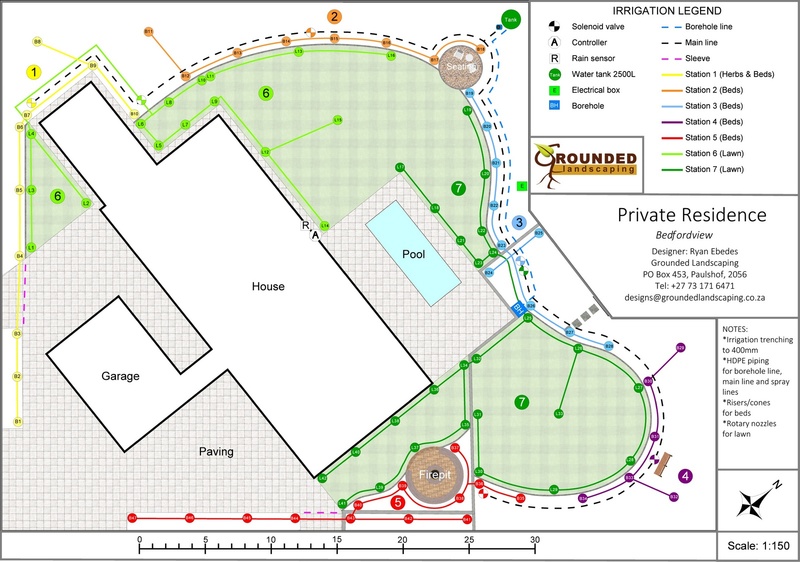 If your site plans are available then we match these to the measurements we have taken and utilise them in your design. We meet with you on site to ascertain your requirements, take measurements and photographs, and attain a copy of your site plans. A creative process involving the development of a design based upon our discussions with you, the measurements and photographs we have taken, and your estate’s landscaping guidelines. 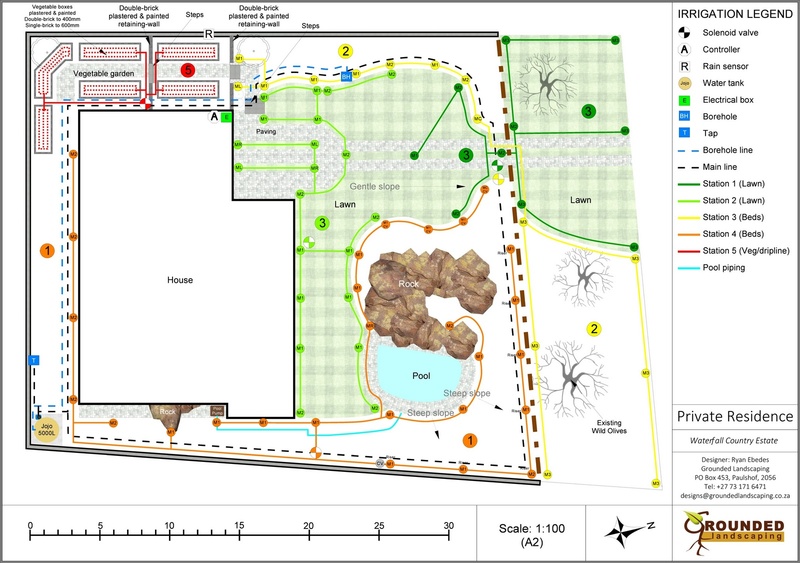 Once our design is complete (about 1-2 weeks) we present it to you and discuss the layout, costing, plants, hard-landscaping elements and any changes you require. Under the supervision of Glenice or Ryan we take over your garden to transform it into the vision you have. Most gardens can be completed in 2-4 weeks, whilst very small gardens may take only a day or two. Larger projects which require the use of earth moving equipment may take up to 6 weeks or more. After completion we walk you through your completed garden to discuss the plants, maintenance, the irrigation system, and any questions you have. We find that most home owners can take care of their new gardens on their own, but require assistance when it comes to seasonal maintenance. We provide a seasonal service to assist with the fertilising, composting and mulching of your beds, as well as any general gardening tasks that may be required. At Grounded we strive to provide a professional, personalised service. We use quality products and have an experienced team. Our relationships with a number of suppliers allows us to save you costs and to deliver the high standard we want to be known for. We exercise complete transparency in our pricing so you’ll know exactly what has gone into your garden. For design-only solutions we come to your home and measure and photograph your garden, then supply a 3D video or 2D top-down which you can use to implement in your own time. 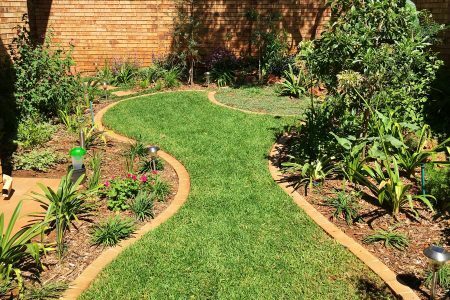 Visit our portfolio, our FAQ’s, our plantbook website, or our DIY section to read more about us or landscaping with indigenous plants – and contact us at designs@groundedlandscaping.co.za to arrange a consultation. Take your lifestyle investment to the next level with Grounded Landscaping!